Apple has announced ‘Apple Arcade,’ its video game subscription service, during its ‘Show Time’ keynote on March 25th. 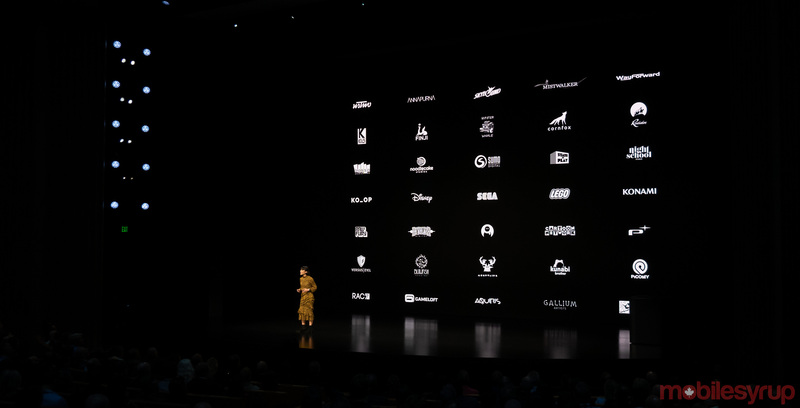 The tech giant plans to bring the service to all iOS, MacOS and tvOS devices, which includes the iPhone, iPad, Mac and Apple TV. The service will bring over 100 all new exclusive video games developed by different studios. Among those studios is Toronto-based developer Snowman, best known for co-producing mobile game Alto’s Odyssey, and Vancouver-based Klei Entertainment, known for making Don’t Starve. Other developers include Annapurna Interactive, Bossa Studios, Cartoon Network, Finji, Giant Squid, Konami, LEGO, Mistwalker Corporation, SEGA, Snowman, ustwo games and more. These games can be played offline without any ads and micro transactions. Most ‘Arcade’ titles will also have controller support. Like Apple News+, it will feature family sharing with no additional cost. These games will also not allow data collection, ad tracking, or monitor gaming habits without a player’s consent. To access the subscription-based service, it will have its own dedicated tab inside the App Store. Apple Arcade is coming to Canada in Fall 2019.